You’ll find a real sense of freedom when you start studying at university. You'll be given the responsibility to learn in the environment that best suits you. 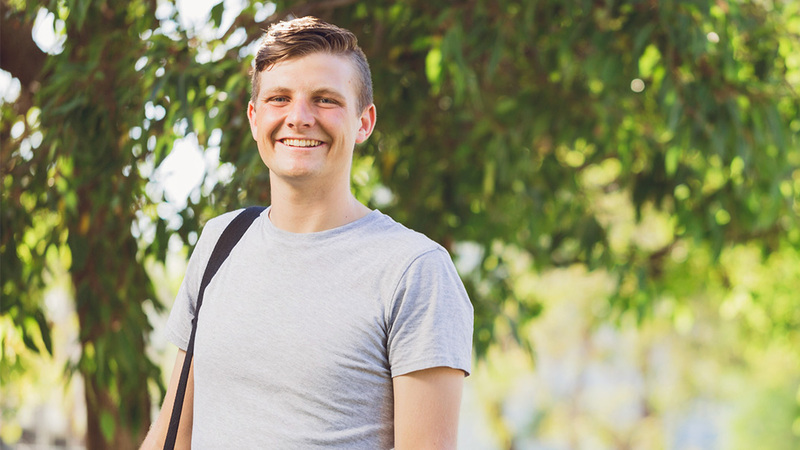 You'll also have the flexibility to study full-time or part-time, and there may be day and night classes available, so you can fit work as well as recreational and social activities around your studies. Activities vary from day to day, student to student depending on your lifestyle. You have a wider choice of subjects to choose from, so you can study what interests you. Our flexible course structure could see you combine Music with Finance, Sport Science with Marketing or Fine Arts with Population Health. Instead of one class per subject, you may have a lecture and a tutorial or laboratory work. You’ll also be able to design your timetable the way you want it. You need to fit your study around your schedule. The University doesn't allocate times to you, so it's your responsibility to make sure your assignments and tutorial preparations are completed and that you attend your classes. Students are encouraged to learn in a collaborative environment, so you’ll be asked to participate in discussions during class, work in groups or develop skills in a practical working environment such as an internship. This way of learning allows you to put theory into practice. UWA is known for its social atmosphere and active student body, creating a lively buzz around campus. There are lots of events that are held around Student Village, including competitions, food vans and social club parties. Our green campus grounds are home to an array of animals, including our very own peacocks. Unlike high school, we have everything you need on campus, including a hairdresser, GP, dentist, optometrist, travel agency, shops, ATMs, food outlets and more. Our location next to the Swan River gives our students the opportunity to participate in an array of water sports. We also have team sports, a supervised gym and full-sized ball courts available for hire. You’ll have the chance to meet new people every day, whether through class, a social club, team sports, volunteering or activities run by the Student Guild. There are endless opportunities to network and get involved. 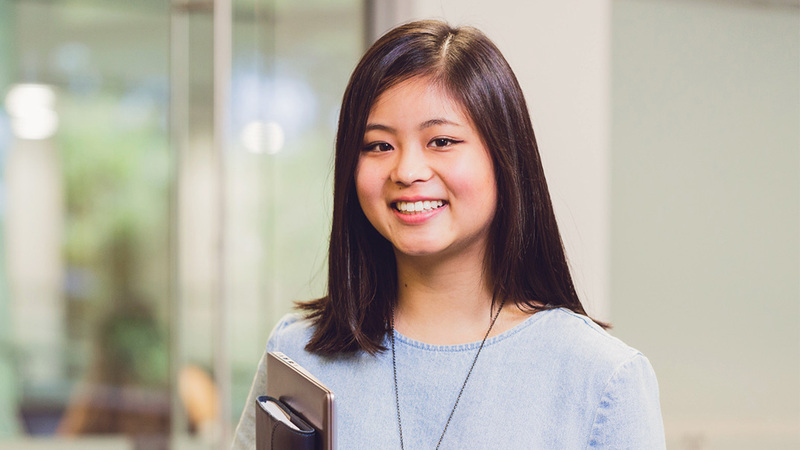 We have a host of support initiatives available including our Careers Hub, and the UWA Student Guild provides assistance for academic, financial and welfare support. There are mentorship programs and study groups too. There is no uniform when you study at university, we encourage individuality but recommend that students wear comfortable clothes that are not offensive. Every Tuesday and Friday during semester there’s a common lunch hour between 1pm and 2pm. This means you can catch up with friends, enjoy the activities on the Oak Lawn or simply relax without having to worry that fitting in lunch will clash with your classes. When you start university you’re bound to come across a number of terms that may not mean much to you. Here’s a quick guide to some you may or may not already be familiar with. This is your first degree and is what you achieve after completing an undergraduate course. The hours a student is expected to spend in tutorials, lectures or labs. A faculty is a university division responsible for administrating teaching and learning in a particular area of knowledge. Faculties include schools and centres within that teaching area. Informal term for freshman: a first year student at university. At least 75 per cent study load (that is, three or four units) per semester. An index of academic performance calculated by converting a student’s percentage marks/grades. contribution by taking out an interest-free government loan. Compulsory repayment of HECS and HECS-HELP loan begins when annual income exceeds a minimum threshold amount. Repayments are made through additional tax being deducted. An additional year of full-time (or equivalent part-time) study undertaken on completion of a bachelor’s degree. Includes coursework and a research dissertation. A class that takes place in a laboratory. Labs are practical classes involving experiments, investigation, construction, observation or testing. A class which involves the presentation of a particular topic, idea or subject to a large group of students. Lectures normally run for about 45 minutes and many are recorded so you can revise later. required to study a unit successfully. A three-year undergraduate degree consists of Level 1, Level 2 and Level 3 units. An area of specialisation that comprises an approved sequence of eight units within an undergraduate degree course. A person aged 20 years or over at 1 March in the year they intend to begin study at university. Enrolling in less than 75 per cent study load (that is one or two units) per semester. Higher-level university study undertaken upon the completion of a bachelor’s degree. A subject or condition a person must satisfy before gaining entry to a unit or course. (usually what has previously been presented in a lecture). A term that refers to a university student who is studying towards their first degree (bachelor’s degree). A subject usually studied for the duration of one semester. Units normally involve different classes such as lectures, tutorials, seminars and labs.